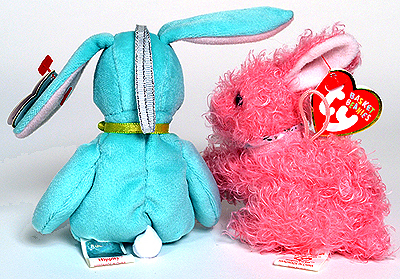 Basket Beanies were introduced on January 29, 2002, as Easter-themed decorations and gifts. The first six Basket Beanies were were Eggbert, Eggs, Ewey, Floppity, Grace and Hippity. 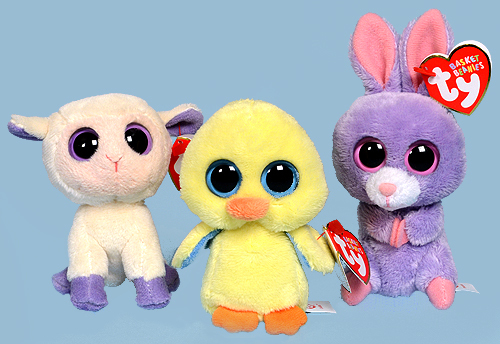 Basket Beanies are smaller than regular Beanie Babies and most of them have a ribbon or thread loop that allows them to be hung as decorations. 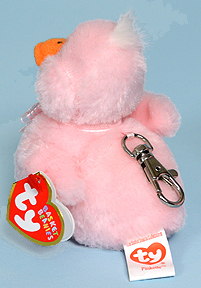 Basket Beanies were available in the UK in 2008 and 2009 with metal key-clips attached. 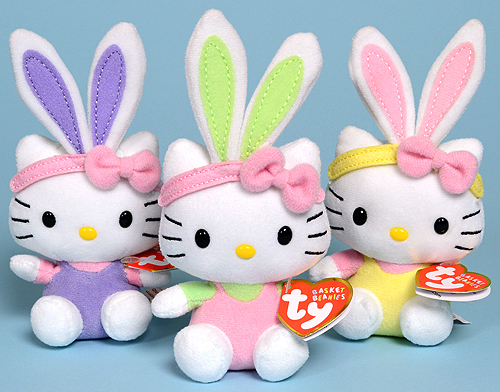 For Easter 2011, Ty introduced the first "licensed character" Basket Beanies, three Hello Kitty characters. In 2012, the line was further diversified with the addition of three new Basket Beanies similar to Boos in appearance. In 2013, three more traditional-style Basket Beanies appeared in stores. They had not been announced in advance. 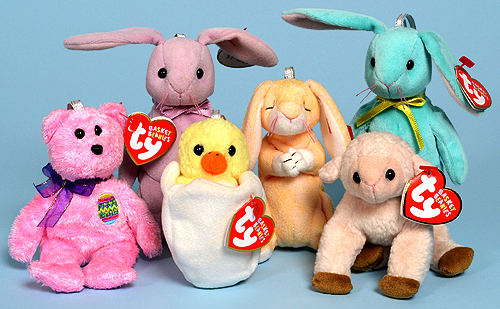 Ty has introduced new Basket Beanies each year from 2002 until 2016. For some reason he skipped the year 2017. They showed up again in 2018.